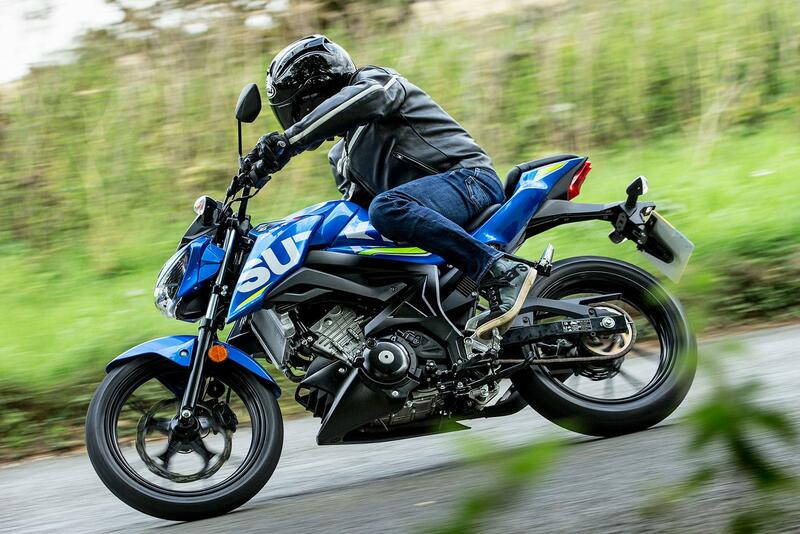 Suzuki have introduced a 3% hire purchase offer on their range of small capacity motorcycles, making it easier and more affordable for new riders to get into biking. With a £1000 deposit, the offer means that a new GSX-R125 can be ridden away for as little as £89.28 per month over a 36-month period. With the hire purchase financing also meaning there’s no final balloon payment at the end of the period. 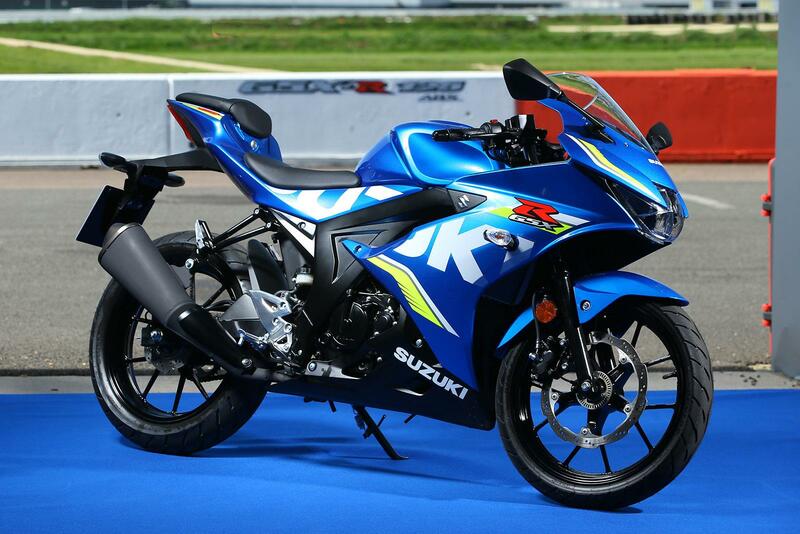 With a much smaller £33 minimum deposit, riders can still take advantage of the 3% offer, while still paying a manageable £108.67 a month for 36 months for Suzuki’s GSX-S125 naked pocket rocket. “Our new offer makes ownership an even more attractive and affordable proposition,” said Suzuki GB national sales manager, Jonathan Martin. “We understand stretching to a big deposit or final repayment is not always possible for a typical 125 rider, so a £33 deposit and three-year deal hopefully helps new owners. A straightforward hire purchase agreement means customers will fully own the machine at the end of the agreement." 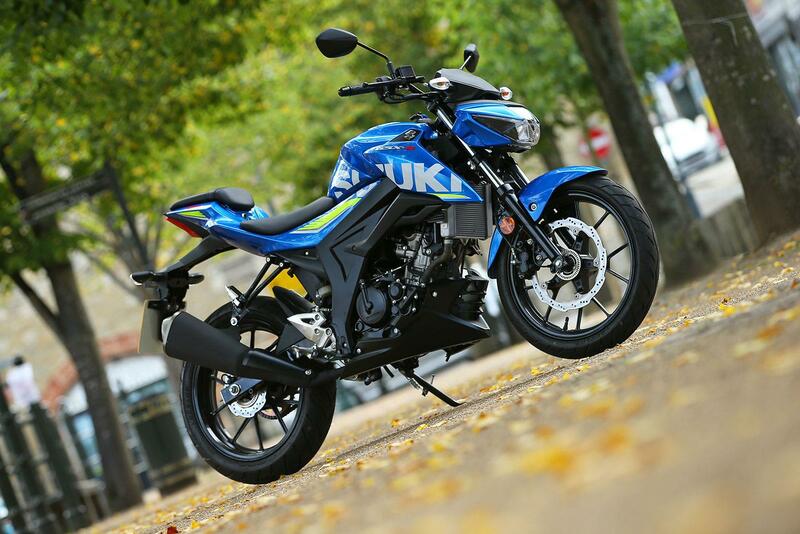 The offer will extend to the other small-capacity motorcycles in Suzuki’s range too, such as the new 248cc V-Strom 250 and GSX-250R motorcycles, along with the Burgman 125 and 200 scooters. 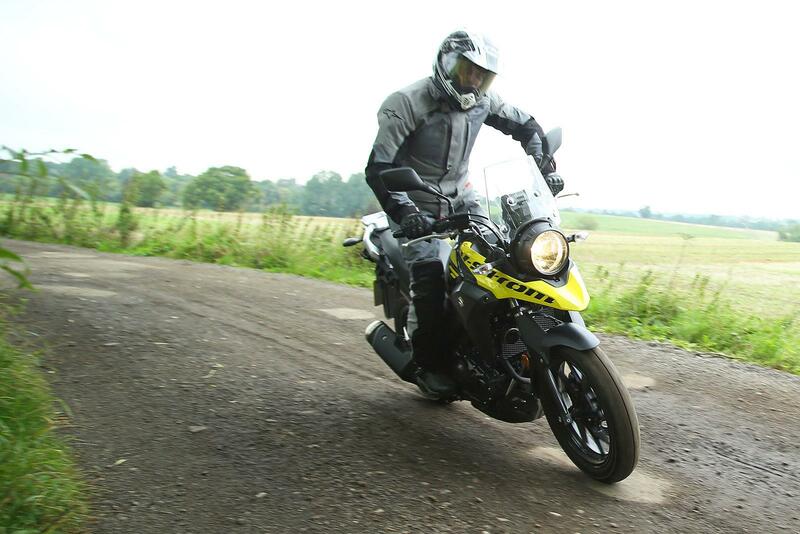 The V-Strom 250 is a new addition to the range for 2017 and allows riders on an A2 licence to own an adventure bike – something which the manufacturers have been hot on this year with the introduction of the Versys X-300 from Kawasaki and BMW’s new G310 GS. With a £1000 deposit, the baby V-Strom can be ridden away for £107.39 a month over a three-year agreement. 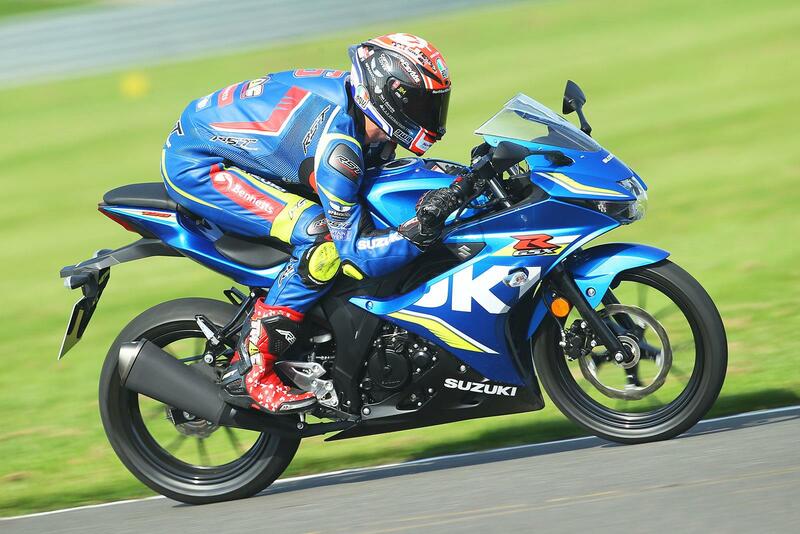 The new GSX250R adds a sporty flair to Suzuki’s A2 compliant machines and gives riders on a restricted licence a larger range of bikes to choose from. It’s powered by the same 24.7bhp four-stroke parallel twin used in the V-Strom 250 and shares its looks with its larger GSX-R brethren. It’s also got a really frugal nature – Acting Consumer Editor Dan Sutherland has been running one on our long-term test fleet this year and has found the bike to lightly sip its fuel – no matter how hard he rides it, returning an impressive 77mpg! You can read more about how he’s getting on with the bike here. The GSX250R is available on the 3% hire purchase offer and can be ridden away for a monthly repayment of £98.67, again with a three-year agreement and a £1000 deposit. 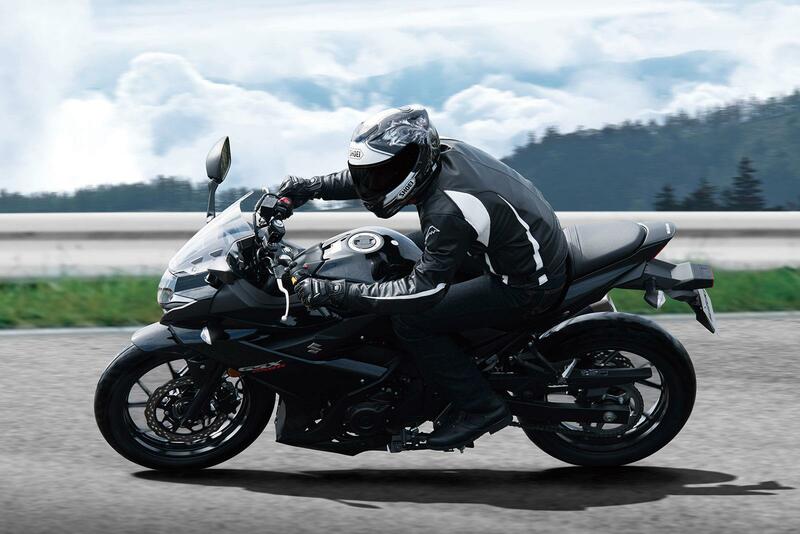 All the bikes purchased on this offer will also come with a comprehensive three-year warranty that will ensure that the bikes are covered for defects for the duration of the finance agreement. 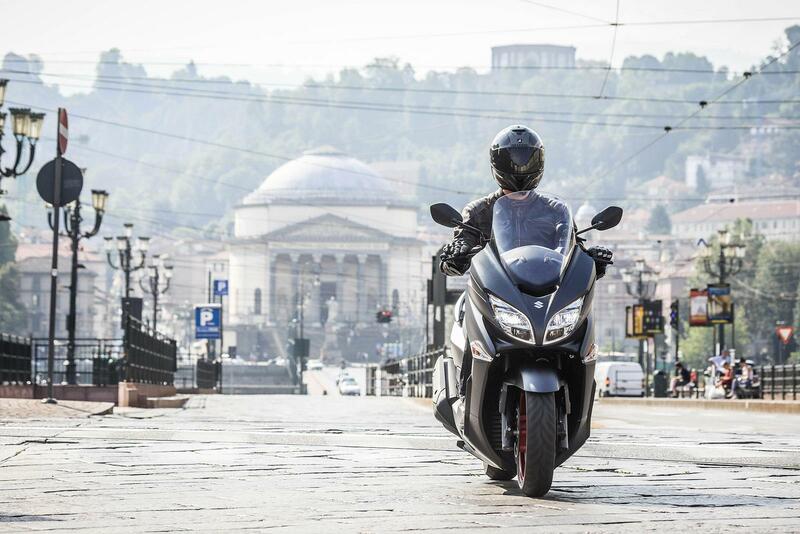 And being a hire purchase agreement will also mean that riders will own the machines at the end of three-year period with no final balloon payment, as often features in PCP agreements. For more information on the offer, contact your local Suzuki dealership.